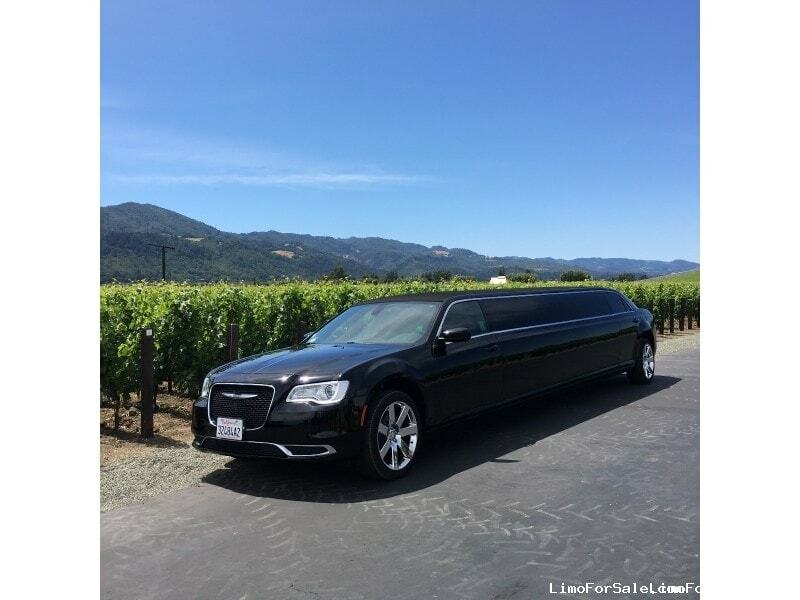 Company Name: Wine Country Limousines Inc.
About the Seller / Company: WINE COUNTRY LIMOUSINES INC IS BASED OUT OF SAN FRANCISCO. WE'VE BEEN IN BUSINESS OVER 10 YEARS. WE ARE LOOKING TO SELL OUR 2015 CHRYSLER 300 STRETCH LIMO. 2015 140 INCH CHRYSLER 300 LIMO STRETCH W/LOW MILES. INTERIOR: 5TH DOOR MODEL, J-SEAT 10 PAX, EMERGENCY ROOF EXIT, CUSTOM ONE WINDOW DESIGN, 6 DOORS TOTAL, TWO EMERGENCY EXITS (THE SUNROOF AND THE 5TH DOOR) , POWERFUL A/C, 20 INCH CHROME SRT WHEELS, "BRAND NEW" PIRELLI SCORPION TIRES, STAINLESS CEILING W/BRIGHT FIBER OPTICS, LCD, SAMSUNG FLATSCREEN, SUPERIOR SURROUND SOUND SYSTEM W/KENWOOD STEREO, (2) 10" SUB WOOFER SPEAKERS, MODERN GREY WOOD FLOORS, 3- ICE COMPARTMENTS, TIFFANY SEAT DESIGN, WELL KEPT, NO ACCIDENTS, CLEAN TITLE, AND MANY MORE FEATURES. IN COMPLIANCE WITH CPUC AND HIGHWAY PATROL. CA VEHICLE, SELLS BRAND NEW FOR 80K. PRICED TO SELL AT 44K. CALL VERONICA TODAY AT 415-312-3773.